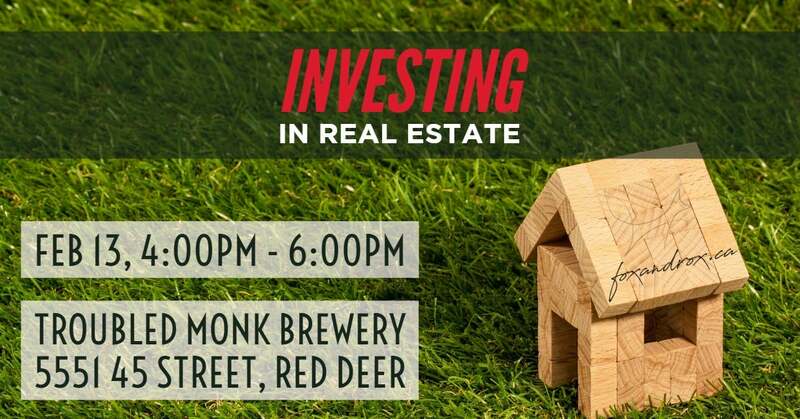 Join us for this opportunity to learn more about Investing in Real Estate. Whether you currently have multiple properties or are just beginning the journey we invite you to join our knowledgeable colleagues for their professional advice. This is an opportunity to educate yourself on the legalities around set up, tax and holdings considerations, financing options and learns more about Real Estate and today's market. We have the following speakers available to share their insights from their personal and professional points of view. SPACE IS LIMITED! Click here to reserve your FREE Ticket! As a Builder, Developer, and an investor will open the conversation, sharing his experiences and offering tips that you will find helpful as you explore how to manage your Real Estate portfolio. Working as a Realtor in Central Alberta has been my passion and joy since entering the field in 2010. Over the last several years, I have had the pleasure of joining many clients on the important journey of selling and/or buying their NEXT home. I’ve lived in Central Alberta for over 20 years and I can honestly say I love living in Central Alberta. I can help you pick a home that meets your needs and suits your lifestyle. I’m outgoing, organized, loyal, and most importantly, dedicated to helping you make the best financial decision for you and your family. I truly believe that homeownership is the first step on the path to financial stability and wealth. The fact that I get to help people on this journey every day is incredibly rewarding. I’m constantly striving to improve the process for my clients as I walk them through each step of the home buying and financing processes. Since 2007, I’ve been dedicated to making people’s homeownership dreams come true, as well as helping clients free up equity, pay down debt, rebuild credit and become property investors – all while helping ensure they meet their overall financial goals. David Brant- David has been a lawyer in Red Deer for over 10 years, all with Altalaw LLP, and became a Partner of the firm in 2014. David, his wife Ashley, and their 4 children live in Red Deer and enjoy a variety of sports and activities, as well as traveling and spending time with family and friends. He is also actively involved in many ongoing initiatives in support of the Red Deer Community. His main areas of practice are Corporate and Commercial Law, Real Estate and Wills and Estates.